34 year old Pragati Sharma is a resident of Delhi. She was born sighted and completed her schooling in a mainstream institution. But soon after her Class XII, Pragati suffered from an eye haemorrhage and was diagnosed with Retinitis Pigmentosa. This resulted in a gradual loss of vision due to which Pragati had to lose out on a year before she could enrol for college. Unlike some visually impaired people, Pragati was fortunate to be born into a well-to-do educated family who continued to support her in every way despite the sudden vision loss. She decided to pursue her graduation from Delhi University. But through her third year, Pragati’s eye condition worsened because of which college authorities didn’t allow her to appear for the final examination. Despite all the support and guidance available from the family, there was an absolute lack of awareness when it came to life with blindness. Pragati had no idea about scribes available to visually impaired students to write their exams and she couldn’t complete her education for the next few years until she came in contact with Eyeway. On learning more about possibilities and opportunities for blind people from Eyeway, Pragati decided to avail scribe facility to finish her graduation. By this time, she’d lost her eyesight completely so the Eyeway counselor suggested that she undergo computer training which would enable her to study using screen reading software. 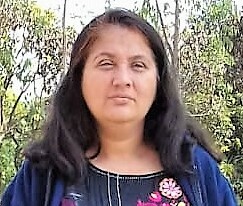 Following the counselor’s advice, Pragati underwent a one year diploma in computer training from NAB Centre for Blind Women and pursued her BA alongside. She later also took up an advanced training at National Institute for Visually Handicapped in Dehradun. After having gone through proper training, Pragati felt empowered and decided to help others like her. She wanted to be independent, so she moved away from her family in Delhi to Dehradun to join a non-profit organization working for the differently abled. Here she was recognized by the America India Foundation for spreading awareness about living life with blindness. She plans to pursue a degree in Law next so she can actively contribute to the empowerment of other visually impaired people. Pragati has been in close contact with the Eyeway counselors ever since her life took a positive turn.